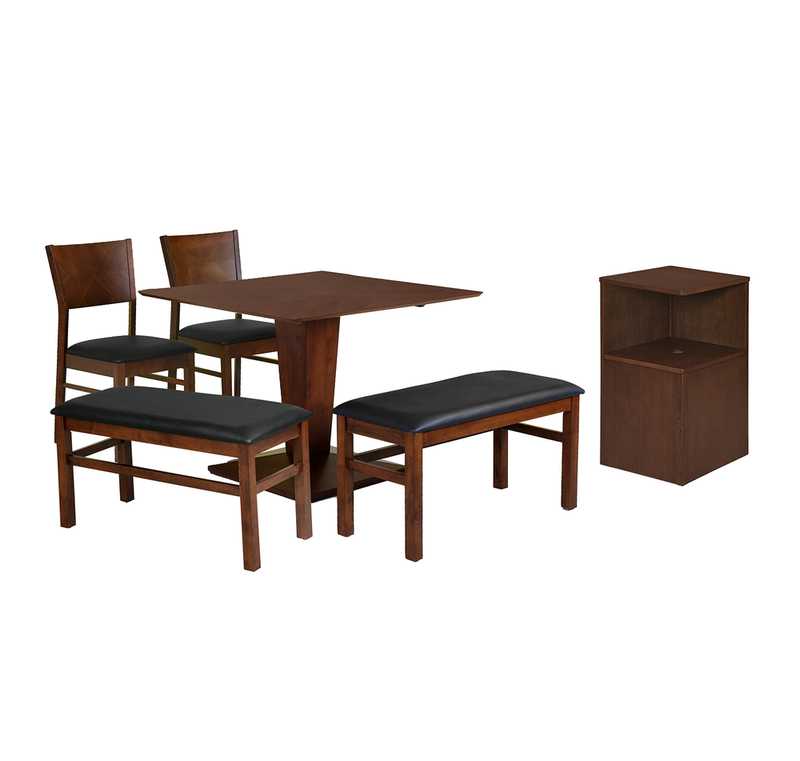 Glaze 1 2 Chairs 2 Benches Storage Cabinet Dining Set can provide you that amazing experience of dinner, lunch or breakfast that you might not be able to imagine. The time you will spend at this dining table with your loved ones or with your family members will be fantastic as the chairs and benches in this dining set is very comfortable. The color and designs are of modern designs that will definitely add charm to your life.The base of the table and the frame of the chair and bench are made of solid wood (Rubber Wood). MDF and Veneer are used for the top of the dining table. Melamine is used for better finishing in this dining set. The upholstery used in Glaze 1 2 Chairs 2 Benches Storage Cabinet Dining Set is of PVC. The weight is 90 kg of this dining set. This package contains two chairs, two benches, a table and one cabinet. There are many different dimensions of table, benches, and chairs available in this package that customer can buy according to their wish. The quality of material used in this package is tremendous. The looks are elegant and beautiful of this dining set. You can add charm and standard by purchasing this package of @homes.